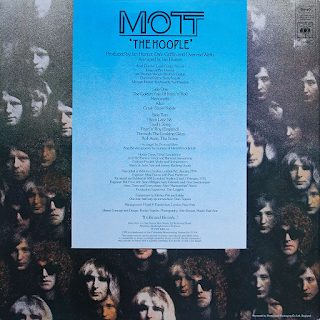 Mott The Hoople's 1974 swansong is a mixed bag. After rising to glam rock heights with David Bowie's initial impetus with the corking albums in "All The Young Dudes" and "Mott", they were gone almost as quickly as their star had risen. It was a shame but probably for the best. The lead-off single "The Golden Age Of Rock n Roll" is a lesser "All The Way From Memphis" but is nonetheless an enjoyable rock n roll romp. "Marionette" is a rocker dominated by Hunter's leering vice and new guitarist, the ludicrously-named Ariel Bender's dentist drill axe. 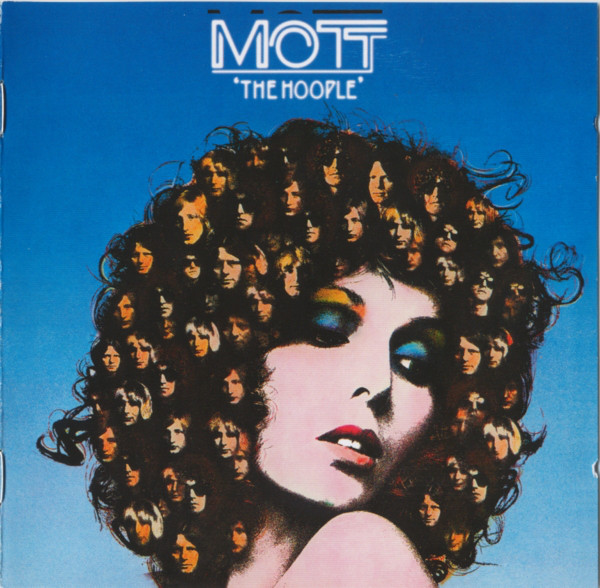 "Alice" is a great Hunter rock ballad, one of my favourites on here, but "Crash Street Kidds" is a second rate take on "Violence" from "Mott". A bit of a mess. "Born Late '58", bassist Overend Watts' contribution, is a bit of a "Ringo song", but Hunter's "Trudi's Song" is a touching ballad dedicated to his wife. "Pearl n Roy" is a wonderfully evocative upbeat, saxophone-dominated rocker, but "Through The Looking Glass" is a racket and there is a far inferior version of "Roll Away The Stone" to the original single version. End of a bit of a damp squib of the old "side two". The extended re-release of the album contain the singles "Foxy Foxy" and the elegiac "Saturday Gigs" plus an extended demo version of the same song with some different words at the beginning, although Ian Hunter garbles them somewhat and they are difficult to make out. Goodbye lads. Don't forget us. We won't forget you.